I participated in my first news conference today at the NC Museum of Natural Sciences. We (Chris Dumas, UNCW, Paul Bin, ECU and myself) wore ties, we flew the school banners, we delivered a powerpoint presentation, we ate coffee and danish and the media actually showed up and asked us a few questions. I've done a few interviews and can't wait to hear how stupid I sound (both my stupid voice and the stupid things I say). All in all it was a relatively painless experience, embarrassing, but relatively painless. My inexperience showed when I was surprised as I couldn't stand at the podium when all the microphones were at the table where we were seated. I had a cheat sheet at the podium so I mumbled a profanity or two, retrieved my cheat sheet and then continuously turned around to see what was on the powerpoint screen behind me before I could turn around and say my bit. That was a little embarrassing. Here is the first story I've seen from the media (delivered via the N&O Afternoon Update email). Climate change will cost the state of North Carolina billions of dollars in land erosion, property damage and the loss of recreational and tourism business, a group of economists reported today. Researchers at East Carolina University, Appalachian State University, UNC-Wilmington and the Potsdam Institute for Climate Impact Research used data and studies from an international panel of scientists to project the effects of global warming on the state. The group concluded that the state's low-lying coastline makes it especially vulnerable to erosion and hurricanes if, as projected, sea levels rise from one to three feet over the next 25 to 75 years. The researchers project private property losses in the billions of dollars as a result of higher sea levels and more destructive hurricanes. In addition, the study authors said coastal industries, including recreational fishing and beach tourism, would also be hit hard by higher sea levels and hurricanes. They projected that hurricanes could cause $157 million in damages per storm by 2080. "Coastal North Carolina has been identified as one of the United States' most vulnerable regions to climate change," said Ben Poulter, formerly of Duke University's Nicholas School of Environment and Earth Sciences and now with the Department of Global Change and Natural Systems at the Potsdam Institute. 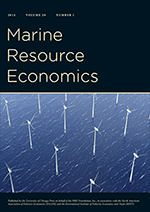 "This study demonstrates that, as climate change contributes to inundation, increased shoreline erosion and higher hurricane intensity, coastal economies will experience significant economic losses in the absence of mitigation and local adaptation."